As the owner of a new business, you may want to start off by doing your accounts yourself. But if you want expert help with your accounts, plus advice that could help you save money – as well as time and stress, you may want to employ an accountant to do your books for you. 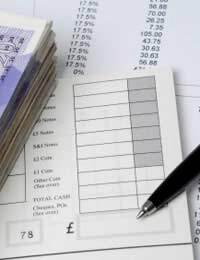 Here are some useful tips and advice for finding and employing an accountant. There are many benefits of employing an accountant. Although you may have good intentions to sort out your tax return yourself, when it comes down to getting it done, many small business owners find it more difficult than they first assumed. Even if you manage to complete the tax return, the chances are you may still be missing extra ways in which you could be off-setting tax and saving money. A good accountant will be able to relieve the pressure of completing the tax return, which can be a major relief. In addition, a good accountant will offer other benefits and services too. They may be able to help with your tax planning, offering help and assistance with setting up bookkeeping systems that will make it easier to record your finances on a regular basis. If you’ve decided that you’d like to employ an accountant, how do you go about finding one that wants employment? If you know of any other small business owners in your locale who may use accountants, you could consider asking for a recommendation. Personal recommendations can be a great way of finding an accountant for employment and have the added bonus that you know in advance that someone else has found them reliable. But if you don’t know any to ask, the other key ways of finding an accountant are through local newspaper ads, through the local Chamber of Commerce or other business group, through official directories of chartered accountants or through searching the Internet. If you want to make the most of any business advice or networking opportunities that your accountant may bring, then it’s a good idea to research the current businesses they have on their books – if possible. As a gardening business, for example, it would be useful to know if a potential accountant has had any previous experience dealing with any similar businesses. If so, they may be more likely to be in tune with the needs of your business. However, if they’ve only ever dealt with large, multinational companies, and have no experience of small local businesses, then they may not be the best bet for you. Do you charge extra for doing tax returns? Making the decision about who to choose can be difficult. It’s beneficial if they’re a chartered accountant and have recognised qualifications, such as the letters ACA (Associate Chartered Accountant), ACCA (Association of Certified Chartered Accountants), ACPA (Association of Certified Public Accountants) or CIMA (Chartered Institute of Management Accountants) after their name. It’s quite a responsibility to hand over the accounts of your business to someone else, so you need to feel comfortable and happy with your choice. Not only do you need to get on well with them, but you also need to trust they’ll do a good job and that the rate you’re paying is affordable for your budget.